This chapter focuses on young Muslim women challenging the dominant discourse about Islam and terrorism by engaging in resistance through dialogue. Young Muslims are attempting to take control of the wider narrative about their identities, by raising awareness about Islam and their beliefs. Within the university, Islamic student societies are attempting to ‘normalize’ Muslim student presence by promoting student activism beyond the Islamic society; Pakistani student societies (Paksocs) are also providing an alternative narrative about Pakistan. The chapter further highlights the strategies of dialogue and communication that are being employed at the individual level by young women and men in order to challenge this securitized discourse that limits their expressions of being British, Muslim and Pakistani in contemporary Britain. Milmo, C. (2015, 23/01) ‘British Muslim school children suffering a backlash of abuse following Paris attacks,’ Independent. 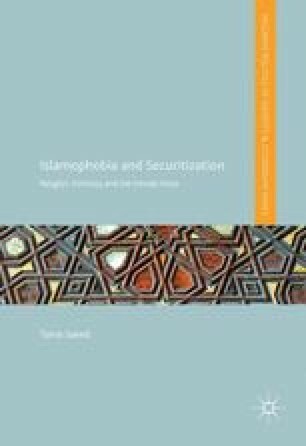 Available from: http://www.independent.co.uk/news/education/education-news/british-muslim-school-children-suffering-a-backlash-of-abuse-following-paris-attacks-9999393.html (Accessed, 11/15, 2015). TellMAMA. (2015) ‘Teacher in Rotherham under police investigation for alleged Anti-Muslim bigotry,’ TellMAMA. Available from: http://tellmamauk.org/teacher-in-rotherham-under-police-investigation-for-alleged-anti-muslim-bigotry (Accessed 10/20, 2015). The Active Change Foundation. (2015) #NotInMyName. Available from: http://www.activechangefoundation.org/projects/not-in-my-name/ (Accessed 02/01, 2016).